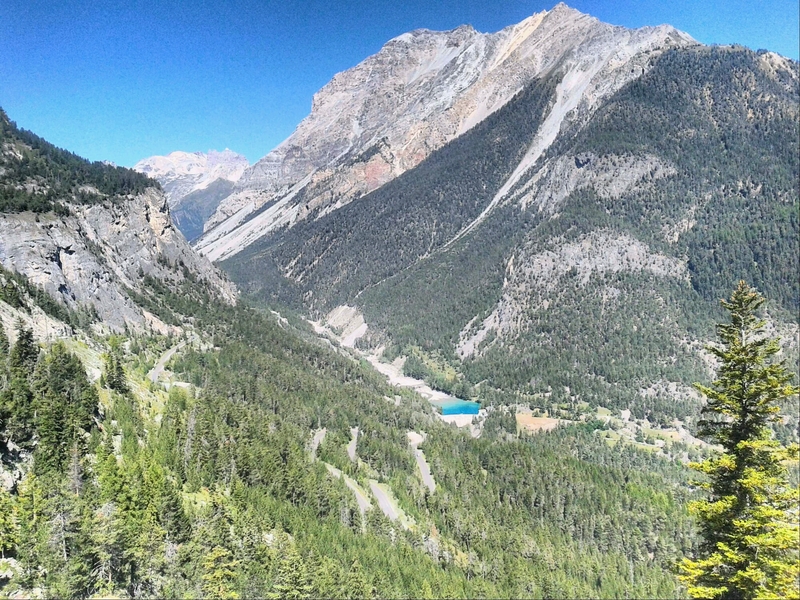 Yesterday (day 58) I left Italy for the fourth and – probably – last time on this trek. 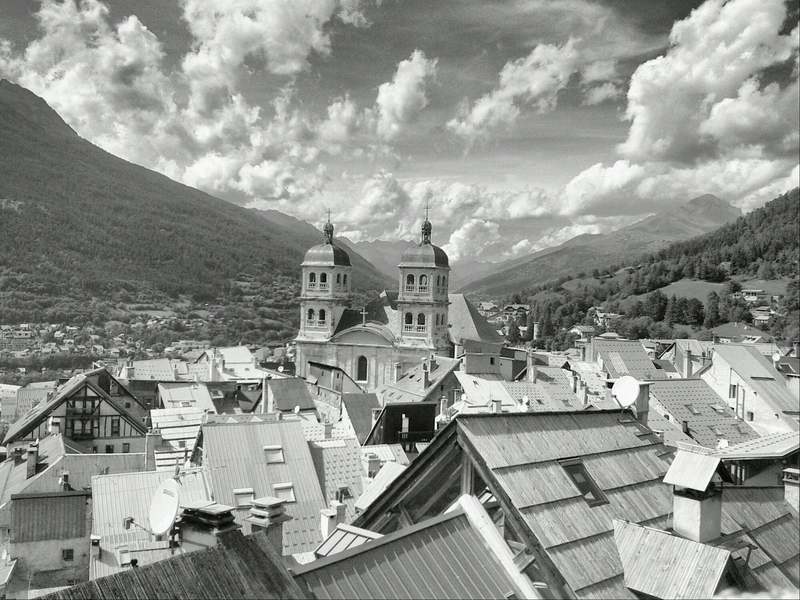 Today I’ve taken a rest day in Briançon, France, for reasons explained below. 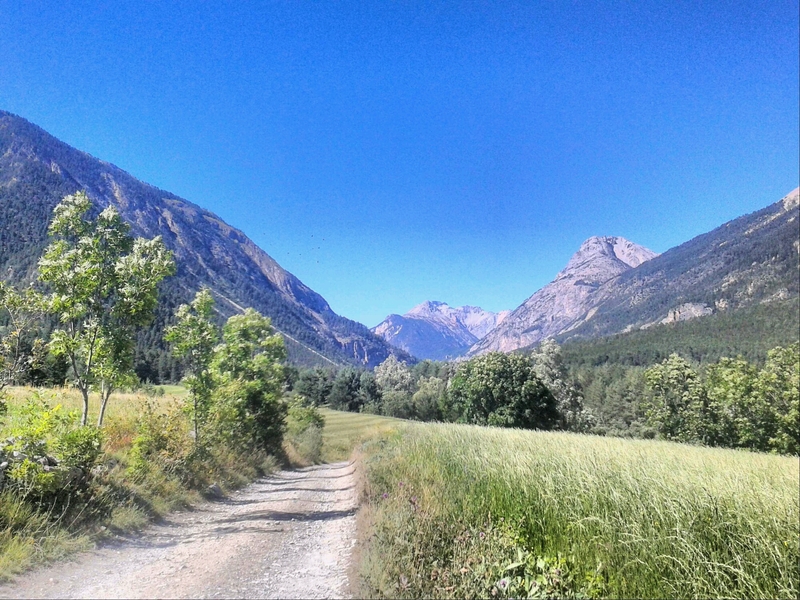 I basically followed the road from Bardonecchia to Briançon, via the Col de l’Échelle, another 30 or 31 km day; luckily there were hiking trails parallel to the road for most of the way. I found the landscape here to be stunning. 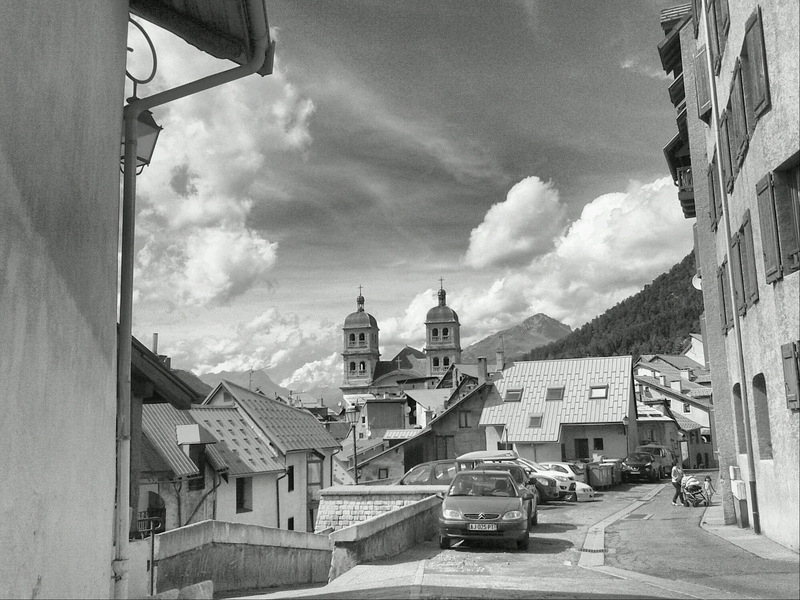 Since leaving the Vanoise it has changed dramatically; it looks much more southerly now. The forests consisting only of conifers, and the high treeline, remind me of what I know the North American Rockies to be like (at least from pictures). 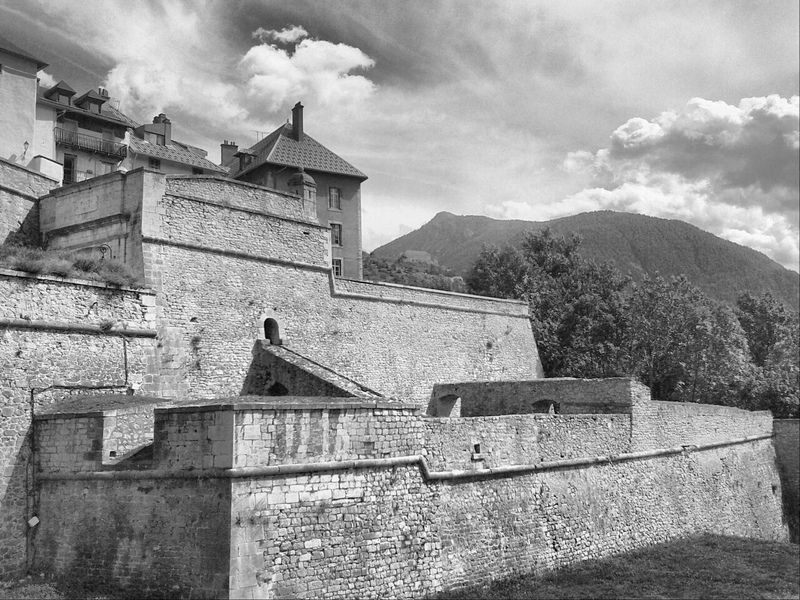 Briançon – I’ve long wanted to visit this fortress town high in the Alps. 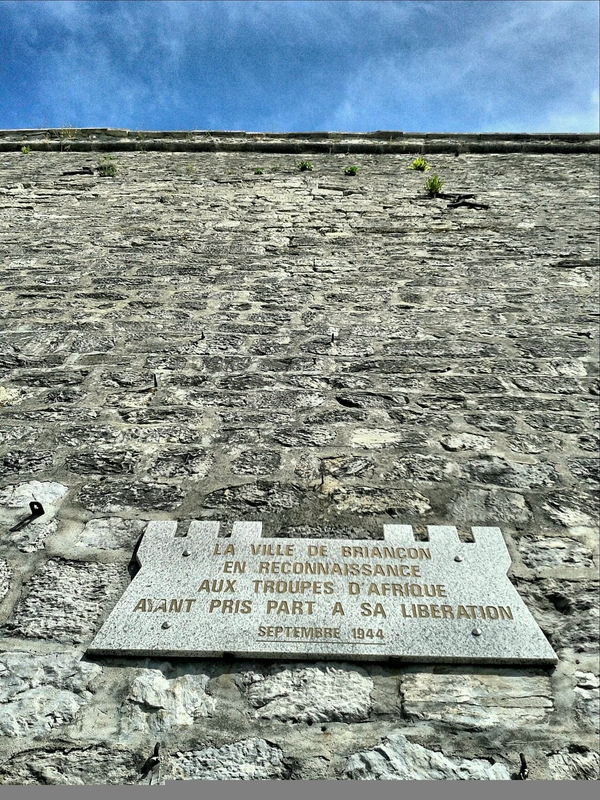 Because it commands the roads to several important passes, the mediaeval city was fortified within a citadel built by Vauban. And the city is surrounded by several other forts. It really is a spectacular sight. 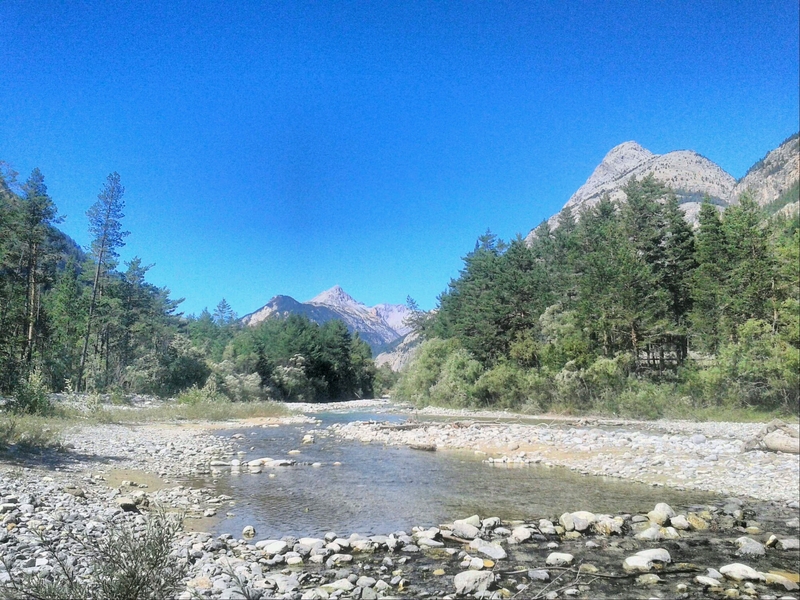 I wish that the reason I spent an extra day here were only tourism, but in fact I’ve had to go to the hospital. For three days my right shin has been painful, and this morning a swelling began to develop above the ankle. After an x-ray examination the doctor came to two possible conclusions: either there are minute fractures in my tibia caused by too much walking; or the tendon is infected (“inflammé”). The goods news that came with this bad news is that, although three weeks of rest would normally be advisable, I can finish the trek without making things worse. But it will be painful, the doctor said. I’ve been given antibiotics in case the tendon us the cause (I think and hope that it is), and have been advised to take pain killers. It isn’t very far anymore to Nice; that’s my consolation. 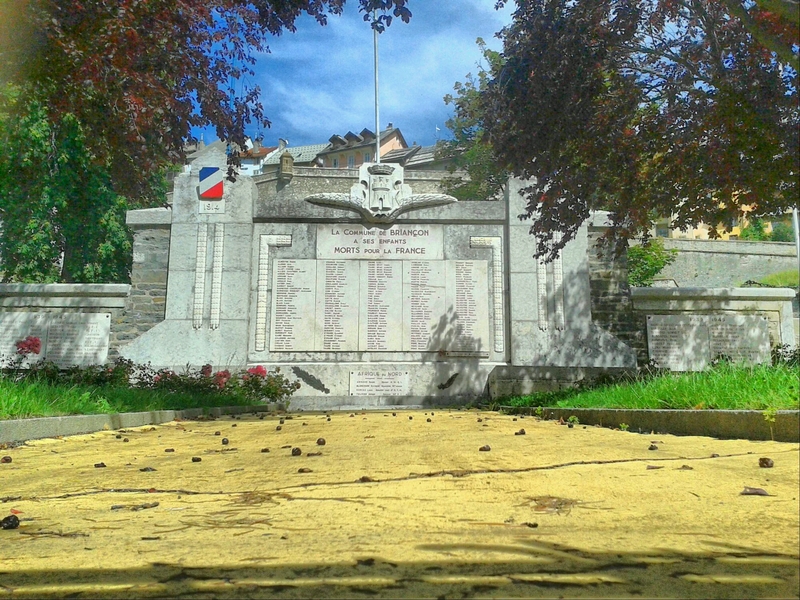 … And that was exactly 70 years ago. Another review here, of singe this that are absolutely essential, given my decision to spend some nights in a tent. I had to carry sleeping equipment which is light, durable and effective. Without any doubt, the piece of equipment I’m happiest with is my sleeping bag. It’s amazing. In fact it isn’t a sleeping bag, but a quilt; that’s a sleeping bag without a back. Why no back? Because whatever material you lie on and compress no longer provides any insulation; so some genius had the idea to cut it away, leaving in essence a blanket which can be closed around the feet like a regular sleeping bag, but otherwise is only a cover. This also gives one the luxury, for instance, of leaving it open on a warmer night; when it’s colder, one uses straps to tie it down to the sleeping mat. And because there is no hood, one wears a warm hat if necessary. 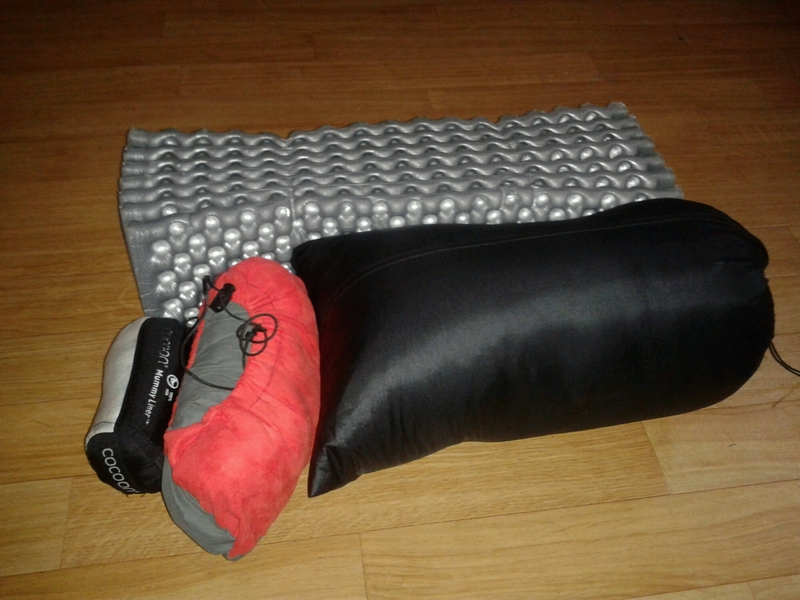 All of this makes the product much lighter than a regular sleeping bag; this one weighs only roughly 400 grams. It’s produced (made to order, for a very reasonable price) by an American company called Enlightened Equipment, and is called The Revelation; and really it has been a revelation – I wouldn’t have believed anything this light can keep one so warm. My quilt officially goes down to 30°F (roughly -1° in Civilised measurement units) but I’ve spent colder nights than that without getting cold. The secret of the bag’s insulating effect – and its prime weakness – is its filling with tiny duck down feathers. The problem is that if the downs ever get wet, they will lose their power of insulation – part of it permanently – so I’ve done everything to keep it dry, even in my wet tent, and to remove any moisture accumulated during the night. On some mornings I’ve even carried it in my arms like a baby to dry it out in the sun! If one has no insulation downward – and this, mind you, applies to any sleeping bag – one needs a good sleeping mat to do that job. The one I bought is not inflatable, just made of foam; the logic was that, although it is less comfortable, it is safer to have a non-inflatable one. An inflatable mat could get a small hole, and then one night I would have no comfort or insulation whatsoever – not a good prospect at subzero temperatures. The Therm-A-Rest Z-Lite Sol, with its egg carton-like structure is a good compromise. It is light enough, reasonably (not very) comfortable, and insulates very well against the cold and damp with its silver coating. I have no regrets about this purchase. Two smaller things are important: 1, a sleeping bag liner. Like a bedsheet, this is important for keeping the sleeping bag clean, and keeping oneself clean when one sleeps on the often-used mattresses in refuges. 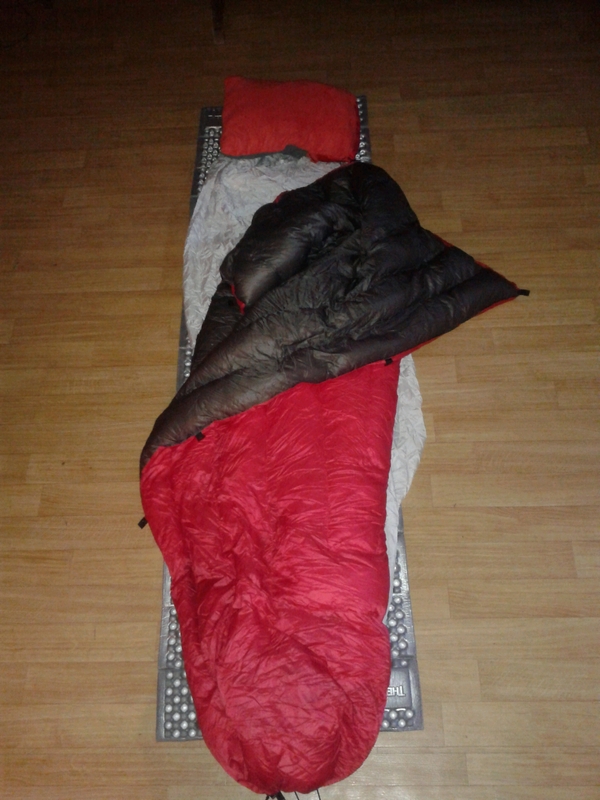 It also raises the insulation if the sleeping bag by up to 5°C. My liner is made of silk and is very light. 2, a camping pillow. I first bought an ultra-compact, ultra-light inflatable pillow, but out turned out also to be ultra-uncomfortable. The one I have now (also produced by Therm-A-Rest) is filled with some sort of foam that expands when it is unrolled, and it offers good comfort.